GRAB 10% Flat Discount for every new client. Fast Conversion converts your chosen PSD to PrestaShop theme that can be used for multiple online stores for your business. We create a highly professional online store for you that customers find easy on the eyes. Developers at our company optimize your website so that the products you consider the best are easier to find. PrestaShop is based on the PHP server side scripting language, which we have vast amounts of experience with. PSD to PrestaShop conversion allows you to create use-friendly ecommerce stores. Your customers will truly enjoy the shopping experience at your online store, because PrestaShop comes with simple check-out features. You can also use many of its in-built features for increasing the sales conversions on the sales pages. We are very pleased with the quality of work and your expertise. We find that you and your colleagues are easy and pleasant to work with. Your responses to our questions and requests are in general ve.. I am really pleased, after seeing Fast Conversion effort towards their work PSD to Wordpress theme integration. I can definitely recommend Fast Conversion to everybody. Great Service! .. Outstanding Work on my website design and development by Fast Conversion, Very responsive and very professional. The Project Manager was very responsive and worked well with me to produce "best o..
Quick response time & full support from the Business developer and his team. Looking forward to work with Fast Conversion again for projects. ..
Our developers at Fast Conversion are not only experts at developing modern online stores, but we also understand how to translate your requirements into technical solutions. Our company also have an incredibly friendly staff that is glad to help you with any questions or issues that you have with your PrestaShop website. We don’t just take your PSD and convert it into an identical looking PrestaShop website. We also integrate it with multiple social networks like Facebook, Twitter, Instagram, Pinterest and more, so customer cans share their purchases, and help bring in more new customers. Our developers at Fast Conversion have created hundreds of online stores for our customers. We know how to build an easy flow for customers from finding products they want and checking out with minimal friction. We can make your review section, so that customers are encouraged to post their experience with the products they buy and rate them. This makes it easier for other customers to like products and drive your sales. We will develop your shopping cart in such a way that you can easily modify features in the future, when the market changes and your needs evolve along with them. This has saved a lot of time and future spending on online store maintenance for our clients and we are positive it will do the same for you. All the code we write, in order to develop your PSD to PrestaShop theme is in compliance with the W3C standards. This means that your website will work on all the major browsers across smartphones, tablets and desktops. We develop your website with carefully hand coded markup and script, so that it has smooth animations and avoids jerky movements of elements on your web page. AS a part of our PSD to PrestaShop conversion service, we give your website a level of polish and professionalism that makes it stand out among the best ecommerce websites out there. Get in Touch with our Team now and transform us into a growth factor of your enterprise. We are ready to assist you with our ingenious Products & Services! 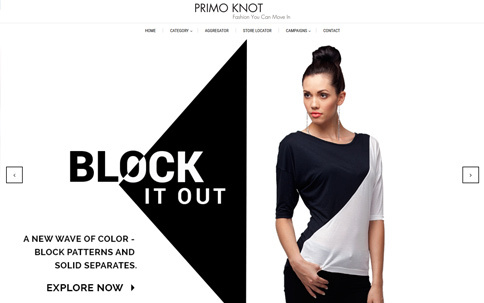 PrestaShop is one of the topmost choices for designing eCommerce stores. It is a very flexible platform, which can be customized to give you the features that you want. You also get the customer engagement features of user reviews and discussion forums. PrestaShop comes with the inventory management that is easy to use and maintain. It also comes with advanced analytics features that can help in improving the sales conversions at your online stores. PrestaShop is a thoroughly modern solution and you can choose from hundreds of themes that are designed specifically for mobile. This potentially opens up your store to a much wider audience right out of the gate. The platform also comes loaded with a very comprehensive analytics solution that presents data and information about sales and consumer habits. This allows you to evolve your sales strategy for constant growth. As with many PrestaShop features, checkout is easier than any other ecommerce platform. The shopping experience for your customers is optimized for choosing products more easily and checking out quickly without any hassles. PrestaShop comes with hundreds of small features that make it easier for you to improve your conversion rates, increase repeat purchases and integration with third party services. The platform is translated in over 60 languages, so a wider range of customers can shop on your website by viewing products and prices in their local language, currencies and measurement units. Read our Blogs for updates from the industry and recent IT trends. We keep you Connected. CORPORATE OFFICE: JMD MEGAPOLIS, Unit No. 560, 560A, 561 & 562, 5th Floor, Sohna Road, Sector 48, Gurgaon-122018 (Haryana), INDIA. Overall client rating is 4.9 out of 5.0 for Fast Conversion by 843+ clients on over 6314+ projects . ©2019 | Fast Conversion A Unit of Fast Conversion Marketing Solutions Pvt. Ltd. / All Rights Reserved. I agree Term and Conditions. Be updated on our latest offers and discounts! Sign up and avail instant 10% discount on your next order! Keeps you in touch with us!